Oklahoma does not immediately come to mind when you think about American craft beer. Until recent years the state has been woefully behind the times in regards to numerous alcohol laws. In fact, there very well might be more craft breweries in the city of Portland, OR than in the entire state of Oklahoma! Things, however, are slowly changing in The Sooner State; in no small part to the beers being brewed by Prairie Artisan Ales. 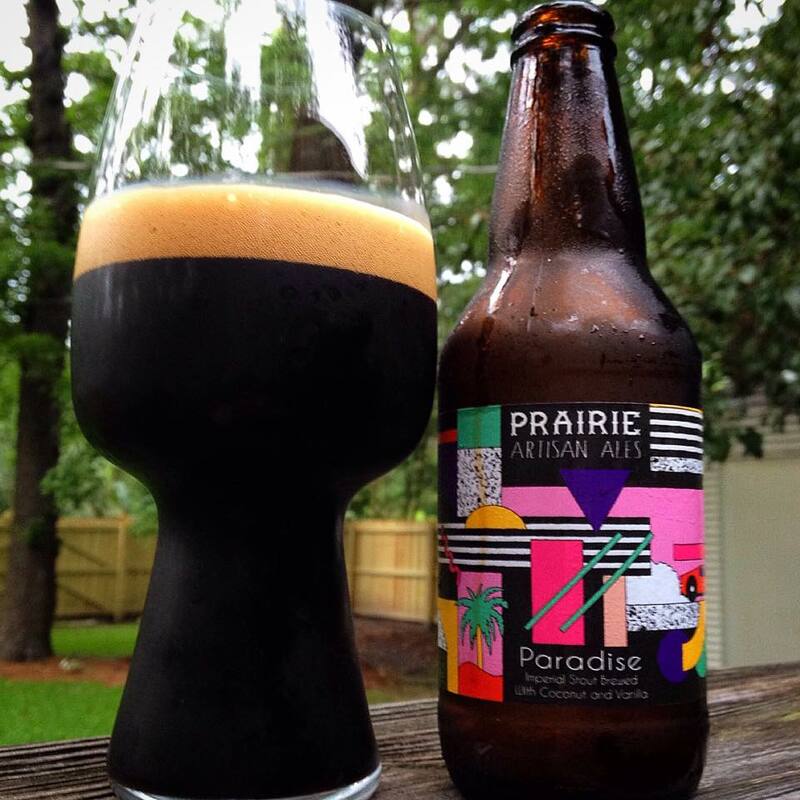 Paradise is an imperial stout that’s brewed with coconut and vanilla and clocks in at an impressive 13% ABV. I cannot find a bottle date printed on either the bottle or the label. Freshness should not be a huge issue with a beer this big. I tried to do a little additional research as to the release and origin of this beer, but there was very little to be found. The information I did find were from sources I am not familiar with, but there are a few obvious conclusions to be made about Paradise. This beer appears to the be the base beer for Pirate Paradise, a rum barrel aged stout that had been previously released by Prairie. Although Pirate Paradise was made available in bottles, it seems Paradise itself was released in limited draft form only. Clearly the decision to release this beer to a wider audience was made at some point. Prairie has a knack for pushing the boundaries of their artwork, but not in an offensive way. Quite often their label art is a strange and confusing acid trip of bizarre imagery. The label art for Paradise is in no way confusing though, and has a fun array of Miami style art deco and 80’s images. I can’t say that I’m particularly drawn to the art, but I find it perfectly enjoyable. Paradise pours with a nearly pure black color, or more like an extreme brown depending on how you hold it to the light. The head was not plentiful but attractive. I’d say less than a fingers worth of dark tan foam was generated from a fairly aggressive pour. A small amount of yeast particles can be seen sitting in the bottom of the glass, nothing offensive though. This is a good looking beer all around. My initial reaction to the aroma that it has a good bit more of a fudge/chocolate thing going on instead of any coconut or vanilla. That slowly changes as the beer warms and more layers develop. Before any genuine coconut appears my nose starts to detect a bit of a rum like booziness and a little sweet cream. That cream leads directly into the vanilla unfolding about four or five sniffs in. The vanilla blends with some of the darker malts creating a hint of campfire marshmallow. Although it takes a while, some mild coconut does eventually make an appearance on the nose. I really would have enjoyed more than the muted coconut I got, but all in all this is a fantastic smelling imperial stout. The rich and sweet aromas compliment the appearance and have me anticipating the taste! The featured ingredients waste absolutely no time making themselves known immediately in the taste! Beautiful sweet vanilla and toasted coconut burst onto the taste buds seconds after each sip. A strong amount of alcohol burn recalls the abstract rum character I got in the aroma. This is quickly overtaken by layers of sweet caramel, semi-sweet chocolate, toasted marshmallows and some mildly roasted malts that round out the mid-taste. Paradise finishes strong with a return of the alcohol heat which comes with more of a sting this time around. 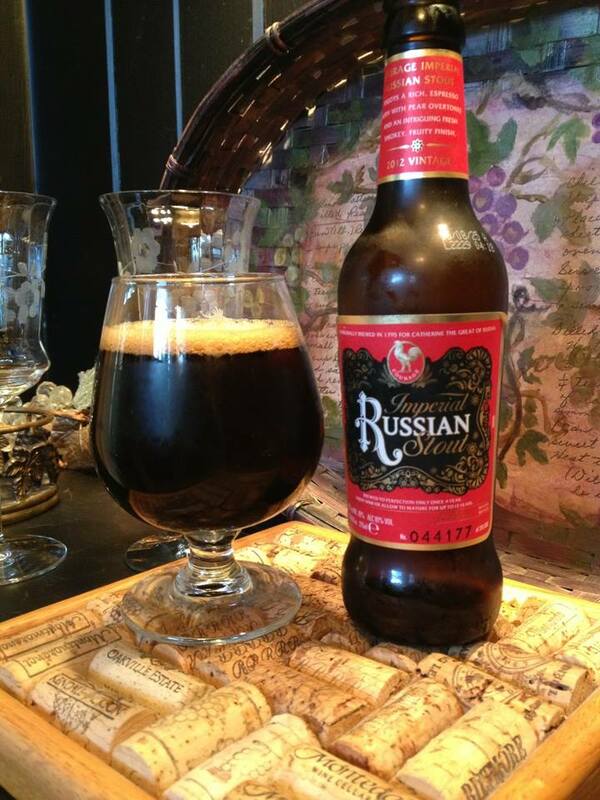 A good bit of anise and a mild amount of roasted nuts balance out the intense booze forward finish. One can’t really expect a 13% ABV to not have a big alcohol presence in the taste, and as boozy beers go this one is still exceptionally drinkable! At 13% ABV I was expecting an imperial stout that had a thicker, more chewy feel. Paradise is far from thin but does not have the enormously dense feel you often get from a beer this big. Not overly carbonated; the bubbles are limited but add the needed tingle to the tongue and mouth. Mid/low carb and silky smooth come together in perfect harmony to bring each sip to it’s final destination. 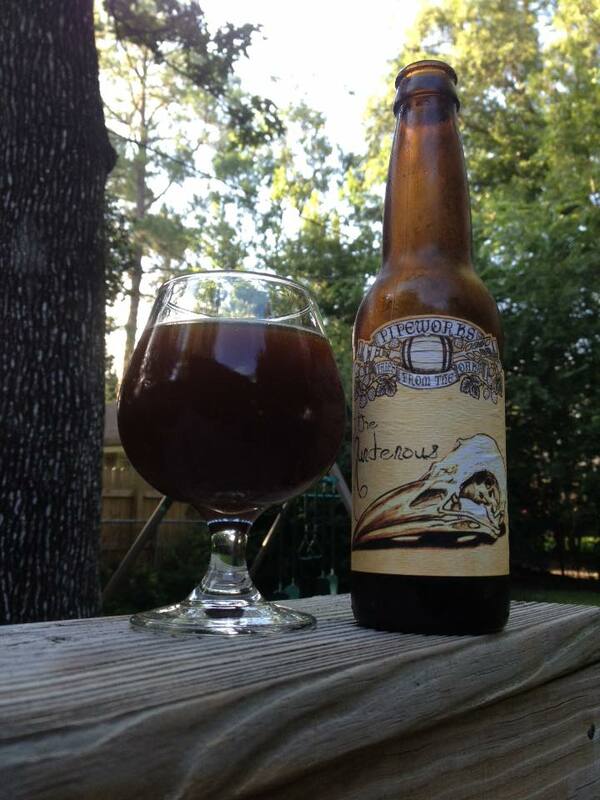 Paradise has a fantastic combination of carbonation and viscosity which compliments the other elements of the beer. A bit too much or less on either end and I think the mouth-feel could stand out more than it should. 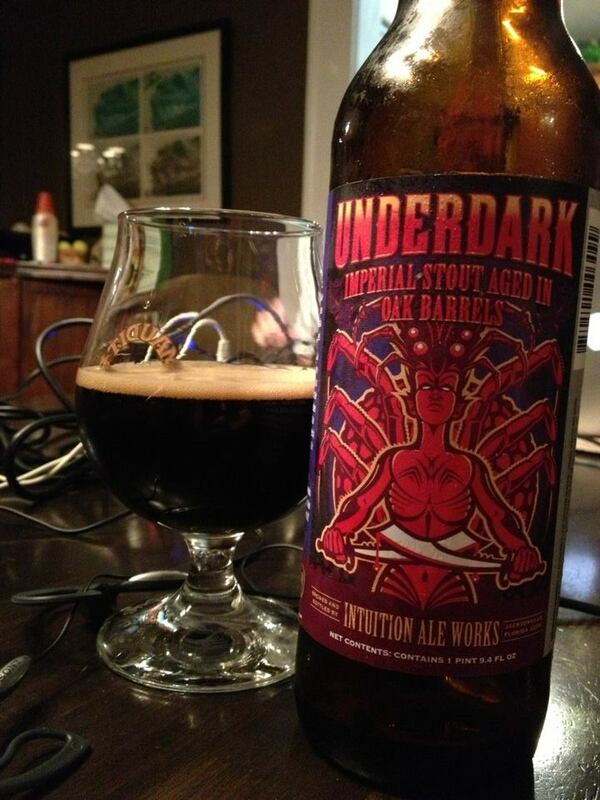 Although this beer could easily be amplified due to rum barrel aging, it stands as a great stout on its own. It is easy to see why Paradise was created to be the base for Pirate Paradise. 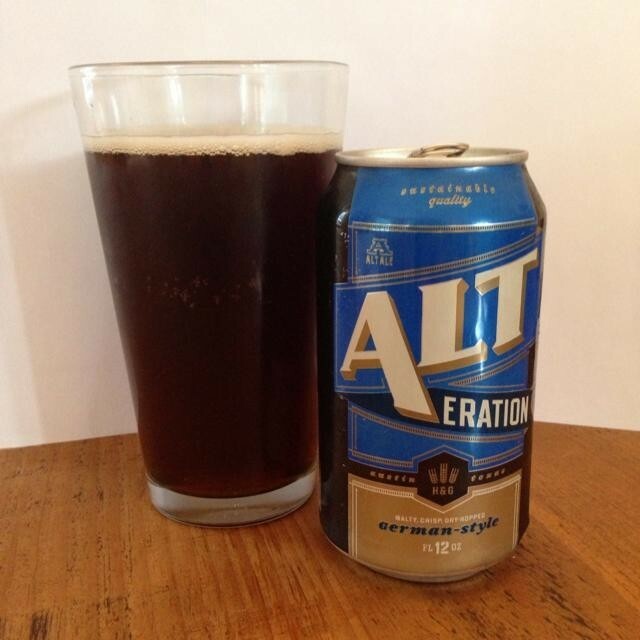 There are probably enough factors to this beer to sway a few drinkers. The coconut, the alcohol heat, the mouth-feel, and/or the carbonation level might not hit the mark for some. As for me I think this is a beer that is well worth the effort to track down. I’ve found that any Prairie Artisan Ales beer that shows up here in Savannah should be relatively easy to find across their distribution network. Generally speaking the only issue I have ever had with Prairie is due to cost, not quality. The exceptionally high price tag on most of their beers has me often leaving them on the shelf, or settling on a single bottle as I did with Paradise. If money is not an issue for you, a four pack of this should age quite nicely for several months at least.